Take a walk on the trendy side with the MIA Greta. 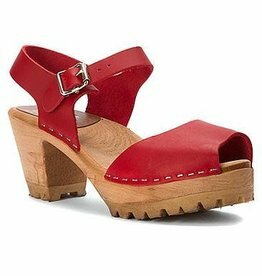 This clog has a peep-toe front and modern tractor sole, making it the perfect balance between feminine and edgy. Made in Sweden and crafted from Swedish alder-wood and Italian leather.